Professionals turn to us … so can YOU! For Sale At Auction offers award-winning, innovative, and industry-leading real estate auction marketing services. To Provide unmatched, individualized, real estate auction services and support to all of our clients. Open, competitive bidding obtains true market value for your property. Seller hassles are almost non-existent! We are state and nationally recognized award-winning auctioneers, ready to work FOR and WITH you! 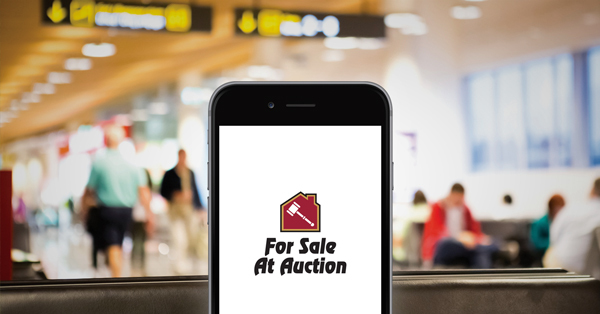 Download our app and never miss an auction. Stay up to date on our auction schedule and news, or bid from anywhere on our on-line auctions! In addition to individual, bank, and corporate owners, For Sale At Auction is also chosen by attorneys, Special Commissioners, Trustees, and local governments to conduct court-ordered auctions in legal disputes, as well as tax delinquent real estate in over 25 localities throughout the Commonwealth of Virginia. Stay up to date on our auction schedule and news, or bid from anywhere on our on-line auctions! Download our app to your smartphone NOW! Contact us with any questions.